If I would choose to donate to a qualified organization of my choice, I would always choose charities which are built to help children. And I have found one of the organizations . It is founded in 1997 and they are called the Kids Wish Network they are an international charitable organization that dedicates their time to infuse hope, create happy memoirs, and improve the quality of life for children who have experienced life-altering circumstances. Kids Wish Network helps children and their families through different programs. Kids Wish Network was founded in 1997 by Shelley and Mark Breiner, and also Shelley’s mother Barbara Askin. They built the foundation to fulfill the wishes of the children that suffers a life threatening condition. At the time when Shelley’s father’s fight with cancer, they regularly encountered and met young cancer patients and their families, and they had witnessed how the young patients constantly fight for their lives because of the life threatening disease. After her father’s death, Shelley and Mark sold their family business and started the creation of Kids Wish Network to help and make a difference in the lives of children in need.Since its commencement in 1997, Kids Wish Network has been lovingly inclined to improving the well-being and quality of life for sick children nationwide. Every year, thousands of children across the United States that benefit from the organizations various programs. Following the organization’s mission they continue to believe in celebrating life and encouraging the children and their families to remain faithful annd hopeful. They considered the generosity of individuals, corporations and foundations across the country in providing aid and support to fulfill the mission of the organization. Most of the donors want know how they can contribute to be used to benefit their mission. Through the help of various foundation such as Wal-Mart Foundation, Kids Wish Network founded its Guardian Angel Fund where All donations are directed to this special security fund that directly support program services, making 100% of donors contribution benefit the children thus organization serve. 1.) They seek to find children in need of our wish granting services. 2.) They strive to inform people of Kids Wish Network and our important services. 3.) They are determined to acquire new donors and secure the funds needed to meet our mission. The organization’s mission must be one of the most genuinely caring cause and helping children in need of major support really touches a lot of people’s heart making their foundation a successful one among other organizations that claims the same cause.They seek to find children in need of our wish granting services. They strive to inform people of Kids Wish Network and our important services. They are challenged to acquire new donors and secure the funds needed to meet our mission. Images from examiner and laxbuzz. Donations are made on a daily basis whether it is be to a charity you frequently help out, giving away clothes to goodwill, a person on the street who begs for spare change, or even just a friend asking you if you have an extra 5 so they can buy a sandwich. The point is all of these are considered giving and donating in a sense, but let’s focus on those people who often donate to charities, or have any plans on putting up a fundraiser to help donate to an organization or a charity as well. Many would believe that when you say you raised a certain amount of money, and they mention that this all goes to their foundation, or charity, or even an organization, it is believed that all of the proceeds really do go the foundations. Unfortunately what we do not know is that donations to charity are actually tax deductible expenses. 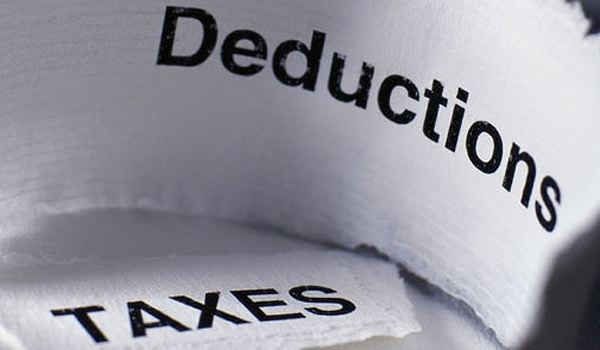 These deductions can reduce your so called taxable income and reduce your tax bill. It would be very important that you itemize your tax deductions to be able to claim any charity. These taxes can be exempted if you know how to go about your donations. Here are a few things to do to be able to exempt your donations from being taxed. You must donate cash or a property. Your donation of this cash or property must meet a certain criteria in order for it to get exempted. There must be a contribution as well to a qualified tax exemption organization. Charities will let you know if they have received something called their 501(c)(3) tax-exempt status, unlike others who would not require this like churches or other religiously related organizations. Itemizing your deductions is important for giving to charity, since charity is an exceptional tax planning strategy, it only works if you are able to itemize your deductions. The last would be meeting your record keeping requirements. This would then include saving your canceled checks, acknowledgment letters from which come from the charity, and appraisals for donated property. Tax payers are required and expected to keep a record of all their charitable contributions. This could be found under the Pension Protection Act stating that you must keep written records of all cash donations. These records must state the name of the charitable organization, the date of your made contribution, and the amount of your contribution. This would not leave out cancelled checks as well. What are tax deductions and how exactly do they work? Often we hear phrases such as “ You can just write that off.” Or “Just deduct that.”, but we don’t exactly know what this means. Why are they considered so important in the first place? The main purpose of Tax Deductions is to decrease your taxable income which in turn results to the decrease you’re the amount of tax you may owe to the federal government. There are numerous ways to use deductions to reduce your taxable income, but unfortunately, many people don’t know about them or know how to take advantage of these deductions. There are different ways to find out about how you can maximize your deductions. A few popular ways to know would be talking to a tax professional for example a tax preparer or you may also talk to your lawyer. They will definitely be able to help you given that their job is to know about tax deductions and how they work. By knowing this, they will be able to guide you to use your deductions legally, efficiently, and to the fullest. If you know about your deductions early on in the year, the more you will be able to take advantage of them. The earlier you know, the better. Many mistake these tax deductions for only applying to those who are richer or possibly more famous or known compared to some of us. This is where they get it wrong because a big amount of tax deductions and credits are actually available to the middle income tax payers and the lower income tax payers. Although, the biggest known dividing line in the world of dividing would be what is called itemizing. You must distinguish if you are one who is able to itemize because itemizing plays a very big role in world of deductions. An example of a tax deduction we miss would be health insurance premiums. Any of the health insurance premiums you pay, this includes some long term medical premiums you pay which are based on your age and medical care premiums as well are very much considered deductible. These need to be added to what you call your medical expense pot. Your medical expenses need to exceed 7.5% of your adjusted gross income before you will be given any tax benefits. An exception would be if you are self – employed and not covered by an employer paid plan you can deduct 100% to your insurance health premiums. This gives you the benefit of not having to exceed the 7.5% floor and you don’ have to itemize. Help for the doctors and heroes without borders is an organization the provides impartial assistance in more than 60 countries to the survival of the people which is threatened by acts of violence, neglect, catastrophe, and primarily due to armed conflict, epidemics, malnutrition, exclusion from health care, and lastly natural disasters. Help for Heroes, on the other hand, is also a foundation who’s mission is to bring an enduring national network of support for our wounded soldiers and their families as well. It would be good to inspire and enable those who have made greats amounts of sacrifices on our behalf to achieve their full potential. These two foundations are very inspiring and are sometimes disregarded or not paid any mind to. Hideout Charity Fundraiser is throwing a charity fundraiser in order to help these two organizations for their current work in the Philippines. All the door proceeds will be split between both of the said charities. This fundraiser will also offer half priced drink which will be served around midnight. The event will offer Reggae, Dance hall, Hip hop, D’N’B, and Jungle music for the party or dance portion. Also the half priced drinks will help with the party feel of this upbeat fundraiser for Doctors without Border and Help for heroes’ organization. The strategy used by this fundraiser is very clever, seeing as many people nowadays are the type that enjoy parties, going out at night, and of course drinking. It may not exactly be an ideal fundraiser but it is very smart since they will attract a huge audience may they be young legal adolescents, or the older public. The party scene with dancing was a great addition since people enjoy partying with good music and of course who would not enjoy partying for a cause. The people will immediately think of this fundraiser as a win win situation. They pay to have fun and drink with their friends and in return all the proceeds go to two different charities. This fundraiser party is just one of the many forms of fundraising that have become popular and successful as well. Other examples would be marathons seeing as many of us now are very into running and health, another would be bake sales since we are almost all lovers of pastries, and many more. This Charity Event is becoming more and more popular because of the party scene and fun it offers. Many fundraising activities should very much consider using this strategical technique. Each year there are thousands of children around the world that has been diagnosed with life threatening illnesses. A lot of wish granting organizations are devoted to make these children and their families to experience a better life within their battle of their sickness. There is a non profit organization in Central Florida which is a 70-acre, non-profit resort that was built to create magical and extraordinary memories for children with life- threatening illnesses and their families. Give Kids The World Village gives free accommodations at its whimsical resort, from donated attractions tickets, meals and more for a week-long, cost-free fantasy vacation. Made possible by the help of many generous individuals and companies and partnering wish-granting foundation that enabled for Give Kids The World to welcome more than 130,000 families internationally. They are an independent non-profit organization that made partnership with more than 250 referring wish organizations to grant a child’s wish to Central Florida. But they function independently from these organizations and our corporate partners. All Give Kids The World employees are based at the Village in Kissimmee, Florida. There is only one Give Kids The World Village in the world. Give Kids The World is a registered non-profit in all states where required. There are approximately 27,000 children that are diagnosed with a life-threatening sickness. More than half of those children would want to visit a Central Florida theme park and for those wish granting organization that support these children, making their wishes come true is just a phone call away.Give Kids The World has welcomed more than 130,000 children to dat and their families to the Village for their wish of their dream getaway. Give Kids The World made all their wishes possible with the help of the great and generous individuals, companies and corporation, as well as wish granting foundations who are all devoted in helping these children. However, the organization also must find a way to pay cash expenses for the operation of the Give Kids The World Village. These foundation’s expenses are over of $12 million yearly. They are able to finance this expense by undergoing corporate promotions, fundraising events and private donations but Give Kids The World does not ask contributions via phone call or by door to door. The organization’s mission is to exist and help out children and their families to be able to experience a Central Florida attraction with accommodation, meals, ticket for them parks and many more. Images from wishuponthenorthstar and debbieandthetribe. Donating to charity is another way to get more deductions in filing your taxes. Most Americans donate to charity to fulfill their charity duties as well as increasing the deductions for their taxes. What you need to learn is about how you can donate, where you can donate and how to determine how much deductions you can make. Fair Market Value is one of the important things you need to familiarize yourself with when you plan to donate and use it as tax deductions. The value of the item at the time you donated is called the fair market value. You would get a retail price of the item but instead will get the fair market value of it once donated. You have to remember that you also have to donate to charitable organizations that are deemed qualified by the IRS. Reporting your itemized donations must be done with an utmost care, because IRS requires a detailed itemized donations and its fair market value being checked if you have declared it correctly. Reporting your tax donations you would need to do the following: Fill out the Schedule A Form I040, Track donations with a log along with dates and amounts as well as its fair market value. Keep in mind that if your donation exceeds $500 then you will also need to complete the Form 8283. Another thing is that you have to keep an itemized list of the donations made every time you donate. When making donations, keep in mind of the following items that you can donate Cash or Property and Vehicles, clothes, toys, food and other things the qualified charity needs. As long as you keep track of your non cash donations, you can file them for tax deductions. Keep in mind that you cannot receive any benefit from the donations you’ve made. Also, Church donations will need a copy of the receipts of the donations, since IRs would need to see that as well. Anything like mileage return from the charity must also be indicated on your tax deductions because IRS would definitely look for that and validate all information needed. The key is to be as detailed as possible, keep a clean record and honest record of all your receipts and documents to present to the IRS. There are various websites; you can check out to help you in filing your taxes and itemizing your donations. Images from articles.economictimes.indiatimes and greenbridgeadvisors. One of the most effective way to deduct taxes is by donating to qualified charitable organizations. But what is the maximum amount you can donate by cash? And if that amount is the total or is it that amount for the whole year or the total amount for each charity you will donate? In filing for tax deductions,you have to make sure that you are well educated about the do’s and dont’s, since the IRS are very strict and meticulous about the documents being submitted by tax payers. You have to keep in mind that the total donations to charities by giving cash and non cash could be equal of the 50 percent of your adjusted gross income. Any donations that exceeds that cannot be deducted in the same year you donate. But anything that you have donated in excess of your adjusted gross income can be filed for next year’s tax filing year. In fact, you can “carry forward” excess contributions for up to four more years beyond the year you donated. You have to remember that your adjusted gross income is not the same as your total income. It is defined as your income minus those deductions that you do not have to itemize, it is also the amount you enter in lines 37/38 on Form 1040. However, there is a different limit or threshold that is applicable to stock donations or other properties with long-term gains donations. If this is the case, you can only deduct the fair market value of those shares and property up to 30 percent of your Adjusted Gross Income. But always remember that it is always important to keep track of all the transactions made and donations made and all the documents for proof that is in association with the gifts made to charity. Some says and cautions that people often overstate the fair market value of donations to Goodwill which is one of the charitable organizations whom do not provide receipts or documentation as proof of your charity donations.. The Salvation Army provides a donation value guide which provides a 101 information that references the price for each item. Be reminded that in terms of cash donations, if you write a check for more than $250 to any one organization, you’ll need to keep a receipt that would serve as evidence of the check in your records in case of an IRS audit. Images from bankingsense and asianfortunenews. When most people decide to give to charity, one of the first questions they’re faced with is which type of charity to give to. We hope this spotlight on charities dedicated to women’s issues, as well as tips on choosing one for you, will help. When it comes to Women’s Rights, females all over the world have faced issues for hundreds of years. From ending violence against women to providing proper healthcare and equal workplace opportunities, there are charities both large and small that address these issues. For example, the Global Fund for Women, based in San Francisco, was founded 28 years ago. They started with grants totaling $30,000 in 1988- and in 2012, surpassed the $100 million mark. When choosing a charity, consider also where it is located. The aforementioned Global Fund for Women may be based in the United States, but they fund in 175 countries around the world. Philanthropists who want to stay more local might check out charities closer to home, such as the National Clearinghouse for the Defense of Battered Women in Philadelphia, the Japan-based Asian Women’s Fund, or the Women Against Violence Europe group in Vienna, Austria. For women’s health issues, the Susan G. Komen Breast Cancer Foundation is well-established and is known to do good work in research funding. A perhaps lesser known non-profit that we’ve been watching closely is Mercy Medical Angels, which helps patients with financial need gain access to distant medical treatment by providing transportation. It’s a specialized need, and can mean the difference between life and death for many women. Another charity that addresses women’s issues in a specific need is The Fistula Foundation, which is based in the U.S. but has partnered with 28 countries around the world to provide treatment for Obstetric fistula, a birthing complication that commonly occurs among women in undeveloped countries.